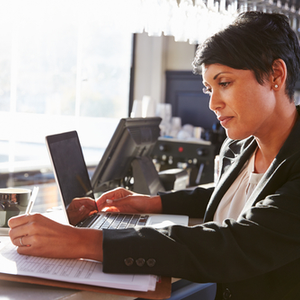 With the January 31 deadline right around the corner, everyone, especially small business owners and accountants, will be handling tax filing for many important tax forms such as Form W-2 and Form 1099 within the next several days. Wouldn’t it be great to be able to file, print, and mail all of the tax forms you need for the January 31 deadline?! Luckily, there’s an innovative tax e-filing solution that allows you to handle everything with a single account. TaxBandits offers the most simplified and streamlined, interview-style e-filing process that helps to keep your business moving in the right direction. Allowing you to take your time back with fast tax filing, TaxBandits is the perfect filing solution for you! Filing both forms is much easier than you think. All you have to do to complete your form is create a free TaxBandits account then follow our easy interview style e-filing guide. Our easy to follow instructions actually explain what information is required to complete your form and where it should be entered. TaxBandits also supports state filings for both Form W-2 and Form 1099. You can quickly view your state’s regulations and file according to their rules. We even automatically generate transmittal Form W-3 based on the information that Form W-2 provide during the e-filing process. Upon completing your tax filing, you can easily view, print, and download copies of your transmitted W-2 and/or 1099 forms for current and prior tax years. Once a return has been filed with the IRS, you can choose to have TaxBandits send a hard copy to any of your recipients with our postal mailing feature! Adding postal mailing to your e-filing package is simple. You will choose the ‘Package’ option which will include both your Federal and State filing plus your postal printing. From there, our customer support team will print the copies of your returns from our in-house print center and send the copies of your returns off to the appropriate recipient. Not sure if you want to mail copies to your employees right now? If you didn’t choose the postal mailing option during your e-filing process and would like to add it, simply call our U.S based customer support team and they will make sure the forms are printed and sent off! Give the awesome, US-based TaxBandits support team a call Monday – Friday from 9 AM to 6 PM EST at 704.684.4751 if you need any assistance. We’re standing by to help. Also feel free to reach us via live chat, or take advantage of our 24/7 email support at support@TaxBandits.com.